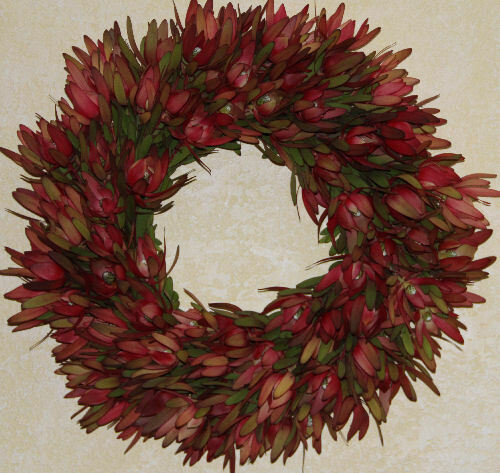 OUR SEASON FOR WREATHS USUALLY STARTS IN NOVEMBER. 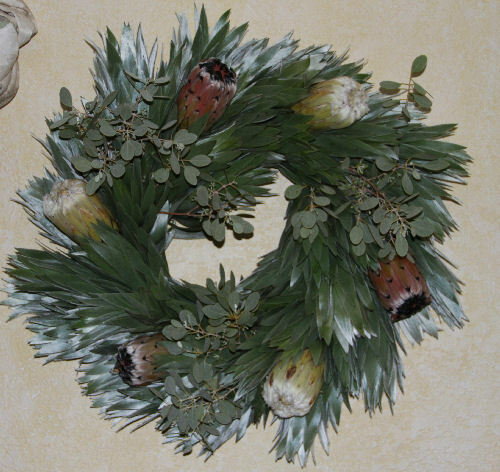 Each wreath is handmade and unique so may not look identical to photo. 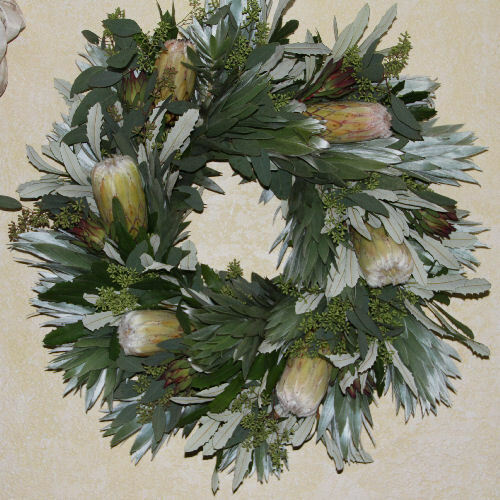 All fresh wreaths will gradually dry. 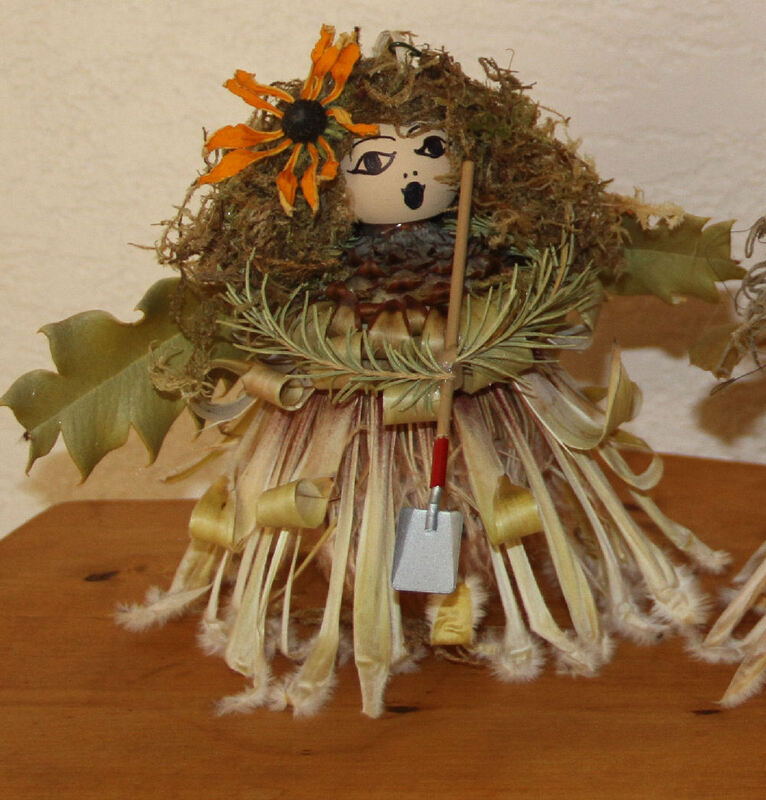 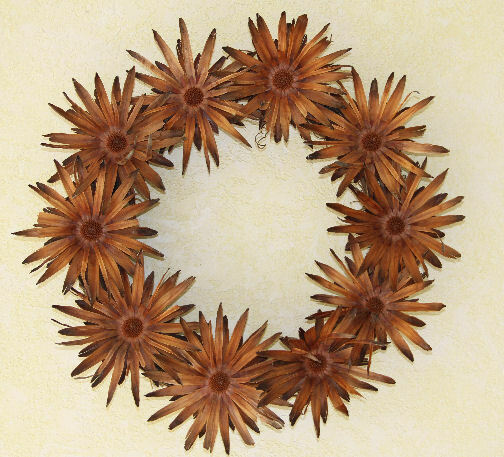 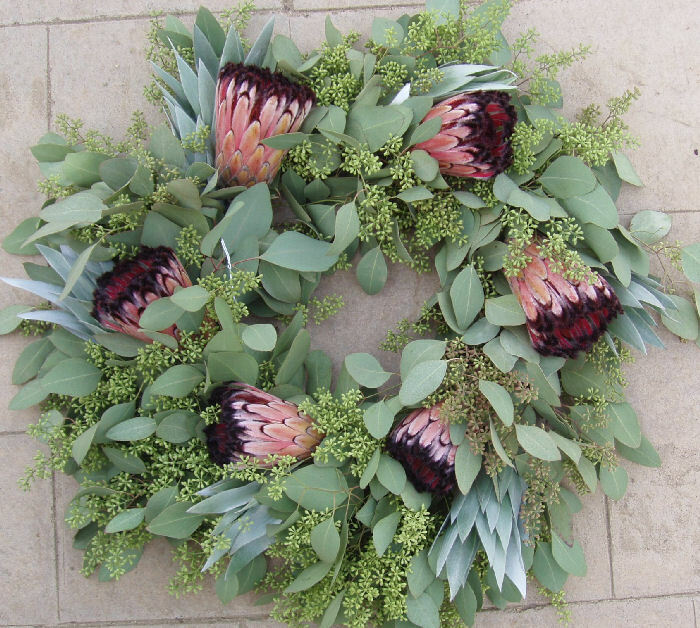 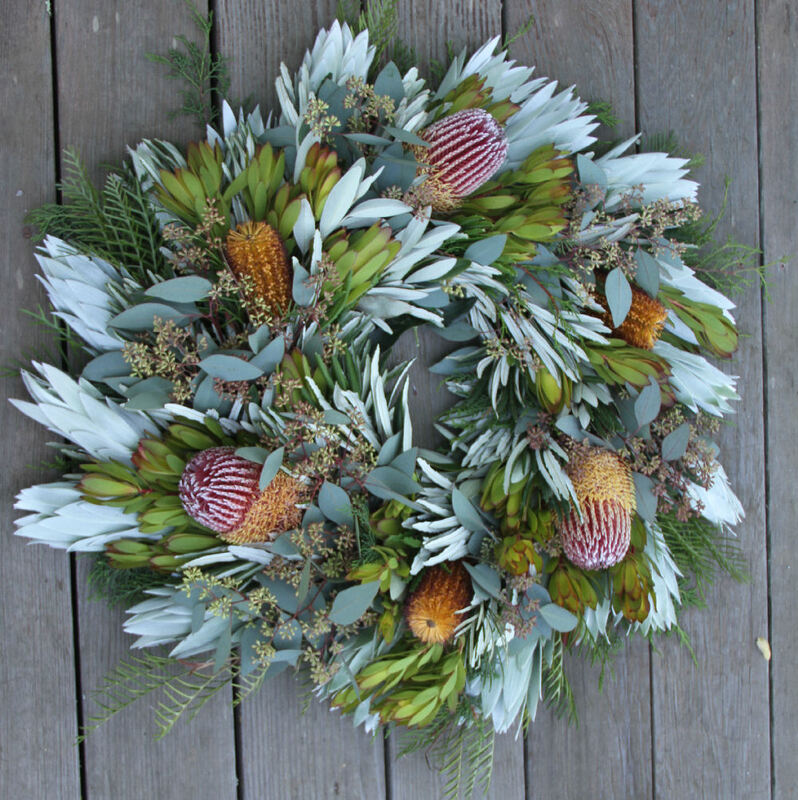 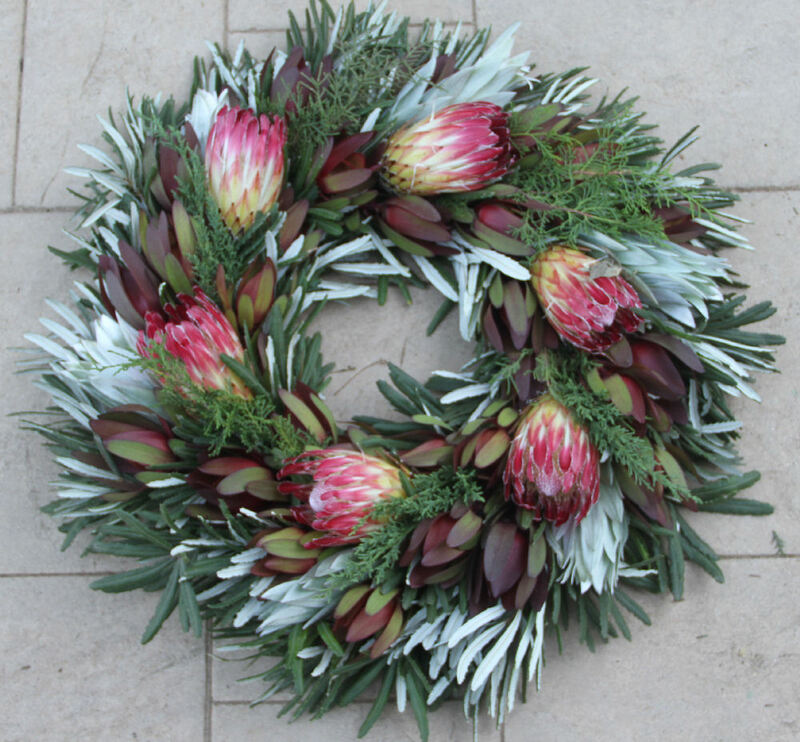 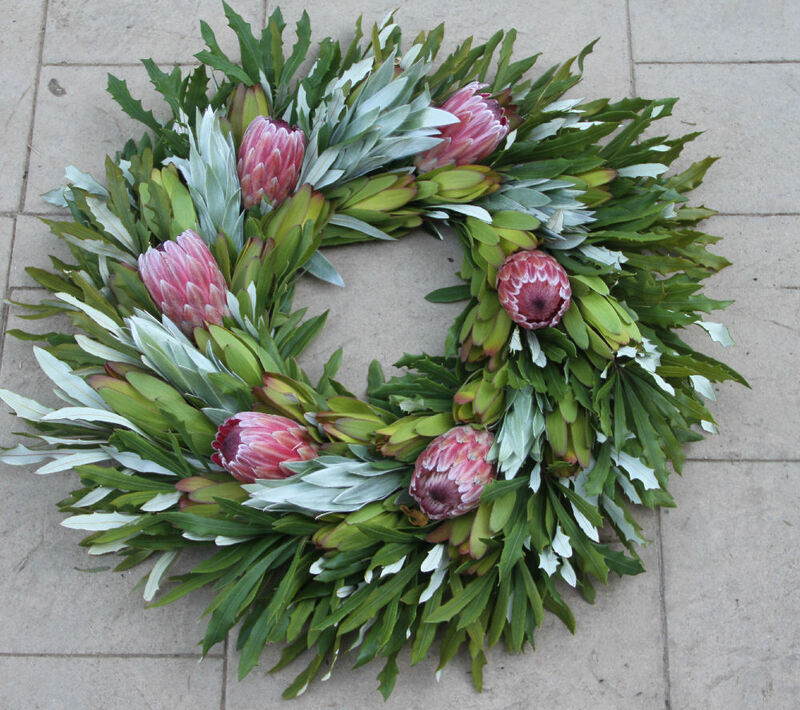 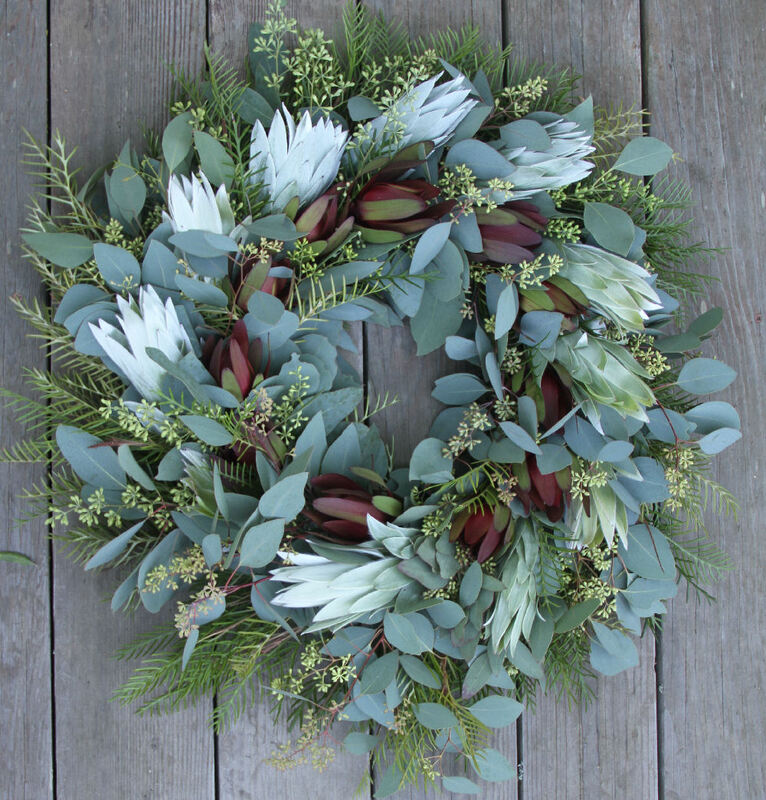 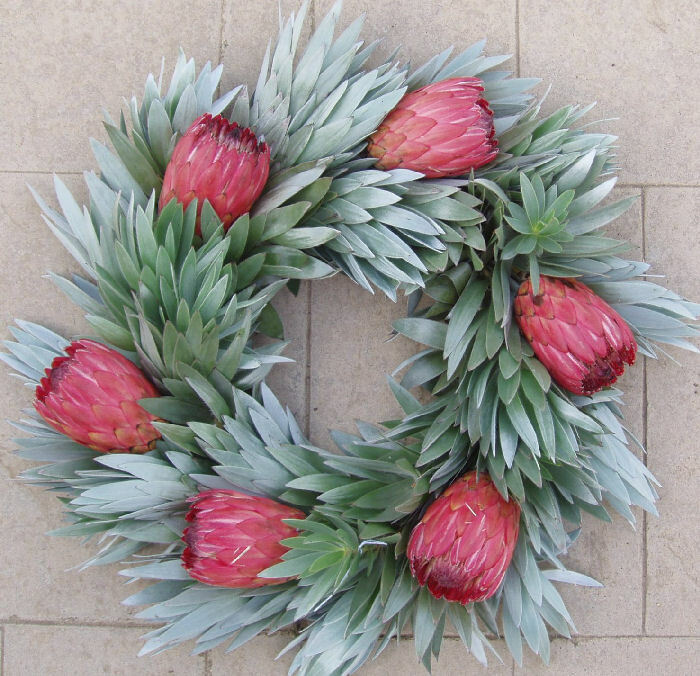 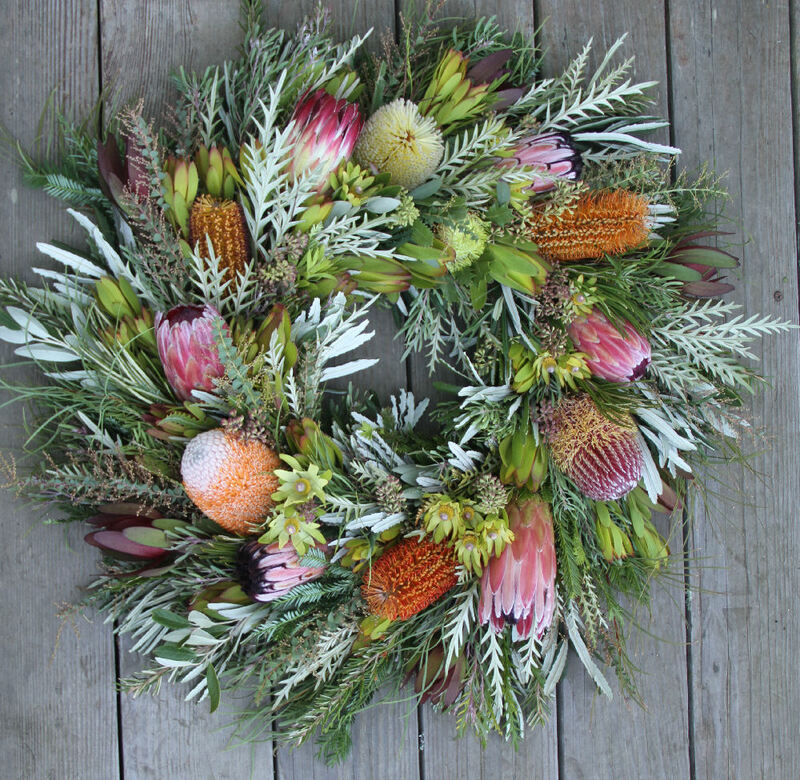 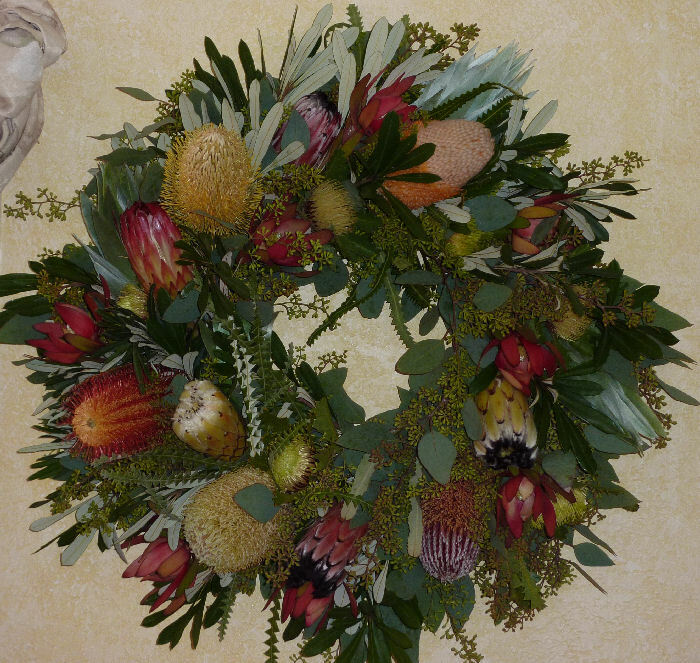 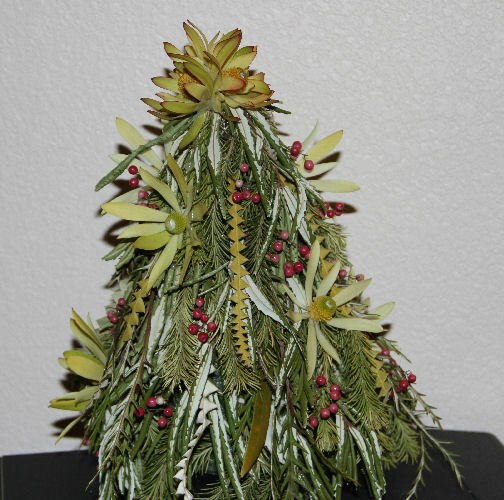 Protea Wreaths are created using Flowers and Foliage from members of the Protea Family, organically grown on our farm. 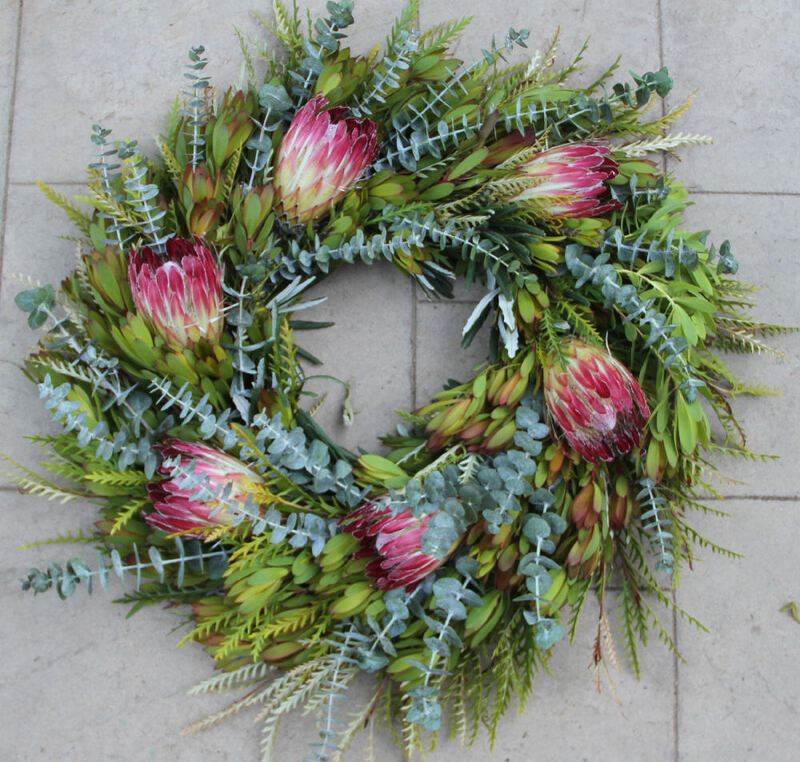 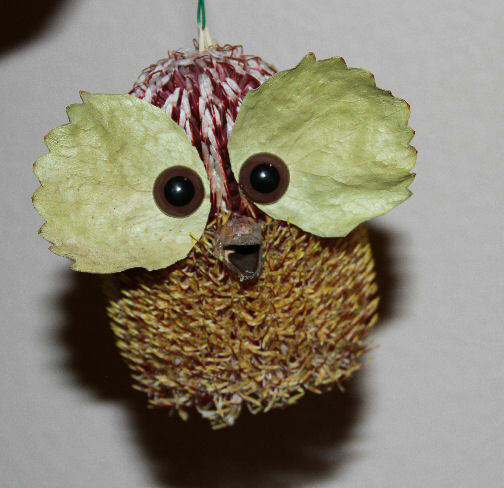 Proteas are named after the God, Proteus, the God of Transformation or Change because Proteas change in appearance from bud to dried. 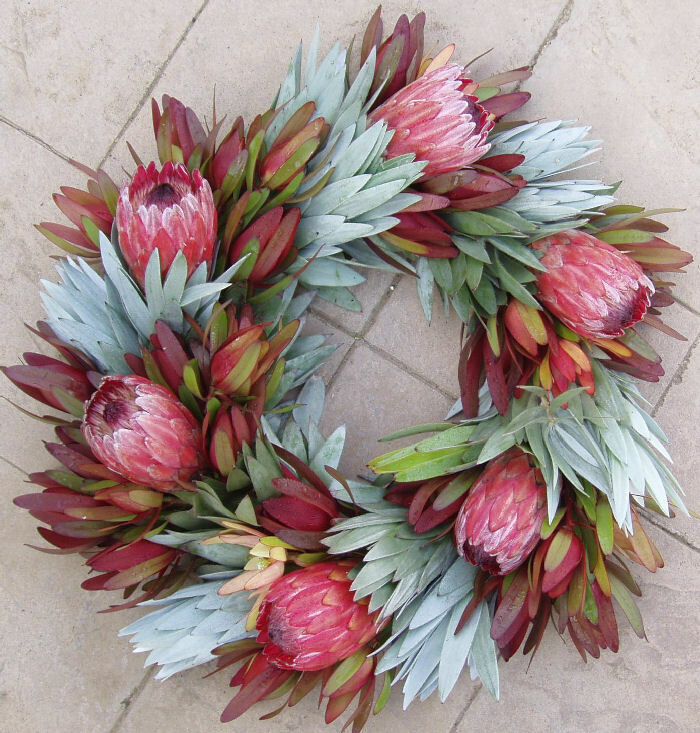 Our Protea Wreaths represent the Circle of Life and are designed to bring positive Transformation and Change to Your Life. 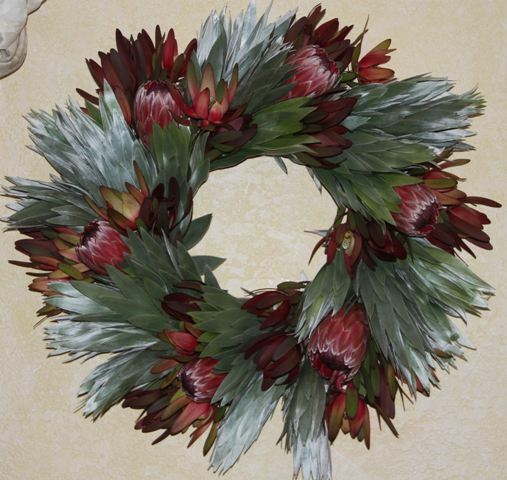 All fresh wreaths are made to order, so if you are looking for specific colors, let us know. 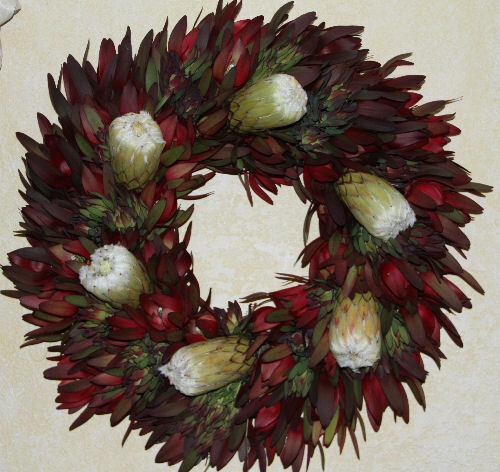 SHIPPING INFORMATION: We only ship to continental US, which excludes Alaska & Hawaii. 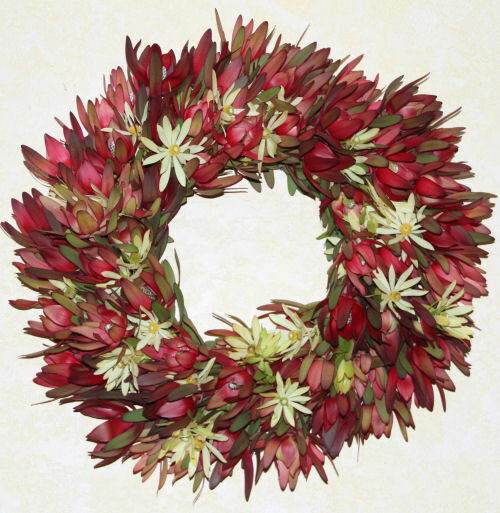 The price includes shipping FED EX Ground, which can take from 1 day in California to up to 7 days to the East Coast. 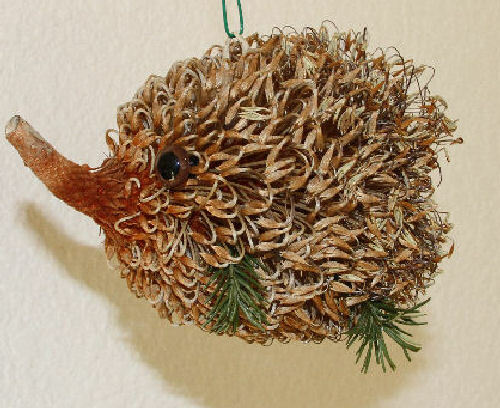 If you prefer faster shipping, please contact us. 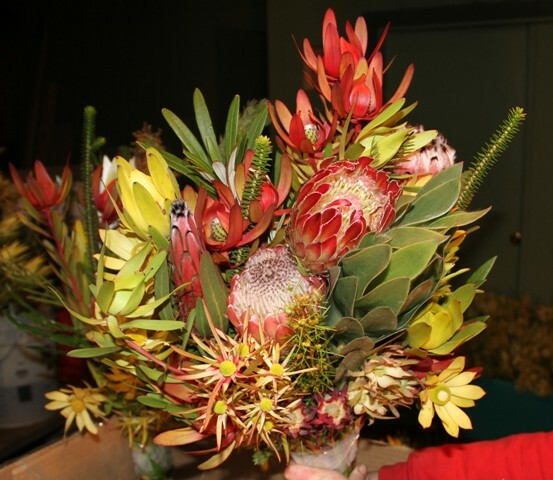 We usually ship out on Mondays, but no later than Wednesdays to avoid weekends, when it can delay shipments by up to 2 days. 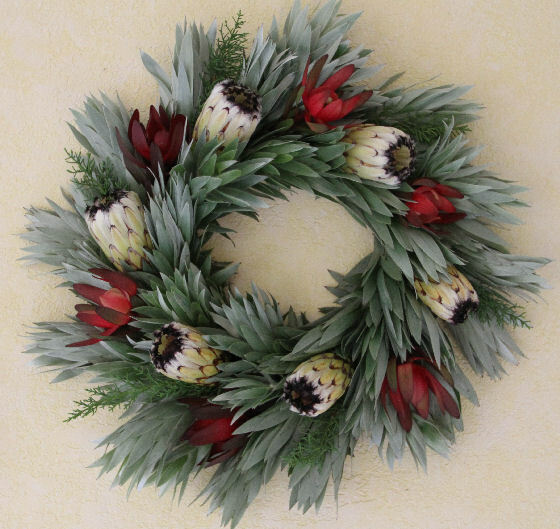 PLEASE ADD THE WEEK YOU WANT SHIPPED IF NOT IMMEDIATELY, ANY MESSAGE, AND THE RECIPIENT'S TELEPHONE NUMBER AT THE FIRST WINDOW, BEFORE YOU ADD TO CART. 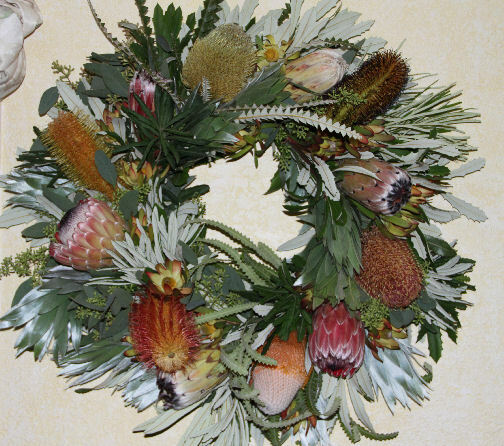 For best results, keep out of direct sun or heat.